If you’ve been at Graystone for a while –even for one Sunday, you know that we are all about “knowing God and making God known”. It is our mission, our premise, our mantra, our number one and ultimate goal… to dominate our community with the love of Jesus Christ. We will do whatever it takes to bring people to salvation. However, being saved is not the end. It is just the beginning. We need to grow in His knowledge (2 Peter 3:18), so we can become more like Him and make Him known. There is only one way that God has chosen for us to know Him; through His son Jesus, the Living Word of God (John 1:1; 1 John 1:1). The more familiar and comfortable we are with the Bible, the more we will understand it. This leads us to more effectively knowing God and making Him known. 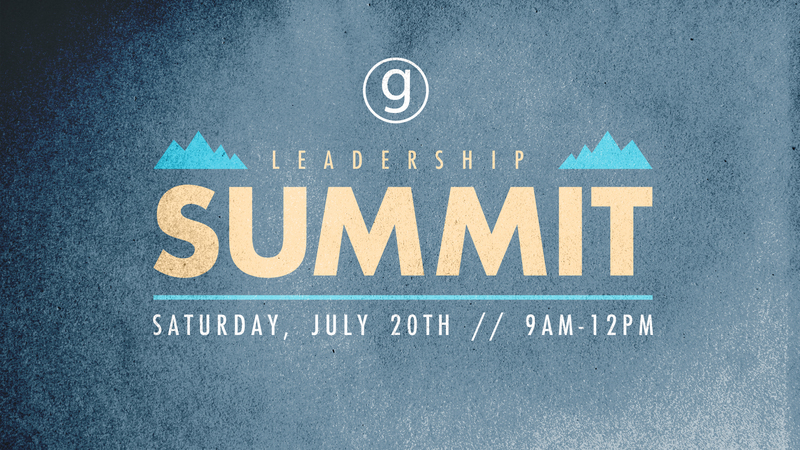 If you want to grow deeper and stronger in your relationship with God, the Leadership Summit this Saturday, July 20, from 9:00AM-12:00PM is a great opportunity. The training was originally prepared for small groups leaders, but we are making it available to ANYONE and EVERYONE who wants to learn more about God and His word. The teaching will cover the basic doctrines of the Christian faith…what we believe and why we believe it. 10 Things You May Want To Know!?. can’t recommend this enough. it was so so great!! Miriam and I attended the 6/29 Leadership Summit and learned alot. It was well worth our time to attend and we would highly reccomend taking the time to do so.